What is Industry 4.0 and why is it important? The online world is filled with buzzwords and we all get bombarded with the latest and greatest new big thing or thought. It can be quite difficult to figure out which new jargons to pay attention to and which to ignore. In the last few years terms such as ‘Industry 4.0’ and ‘Second Machine Age’ have gained considerable momentum, and these are clearly worth paying attention to. We are rapidly approaching a pivotal moment in human history and the concept of Industry 4.0 and the second machine age is central to that development. 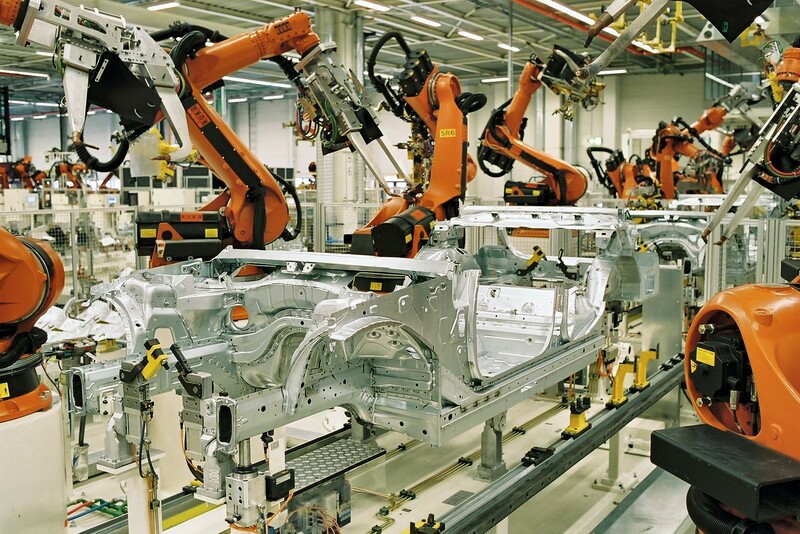 What is industry 4.0, or the fourth industrial revolution? Let’s start with looking at the previous three industrial revolutions. The first industrial revolution mobilised the mechanisation of production using water and steam power. In essence, it was the invention of the steam engine—which can be said to have replaced muscle power with machine power—that made this all possible. As shown by the graph below it is arguably the single most important factor impacting the human condition throughout modern history. The second industrial revolution introduced mass production with the help of electric power. This, in combination with the conveyor belt, made it possible to produce at previously unimaginable quantities and speed. 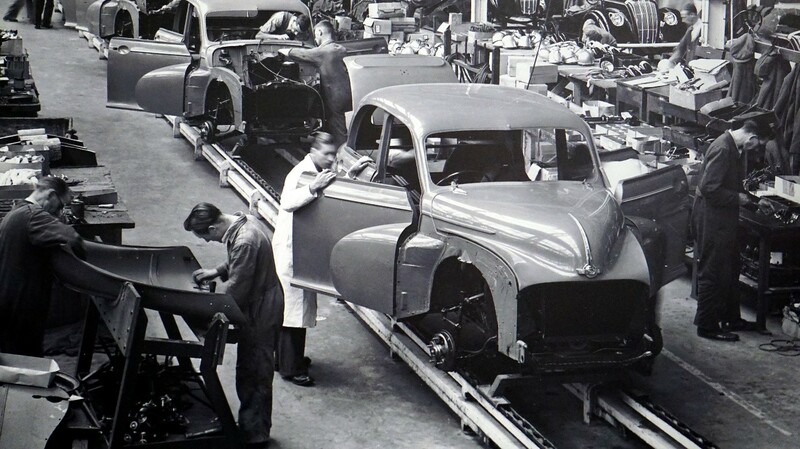 The third digital revolution introduced the use of electronics and IT to automate production further. In particular, it was the invention of the microprocessor that laid the foundation for creating programmable controllers, or modern digital computers. These are adapted for the control of manufacturing processes, such as assembly lines, or robotic devices, or any activity that requires highly reliable controls, ease of programming and process fault diagnosis. That brings us to the fourth industrial revolution. It is the current trend of automation and data exchange in manufacturing technologies. 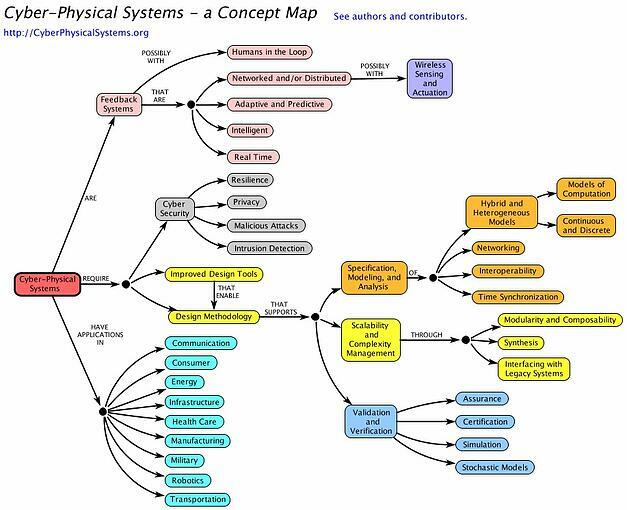 It includes cyber-physical systems (CPS), the Internet of things, cloud computing, and in a wider context concepts such as quantum computing and artificial intelligence (AI). Just like the first industrial revolution can be said to have replaced muscle power with machine power, the fourth industrial revolution can be said to replace brain power with machine intelligence. Hence the term ‘Second Machine Age’. Moore’s Law roughly translates to computing power doubling approximately every 18 months. Most experts, including Moore himself, expect Moore’s Law to hold true until 2020–2025. 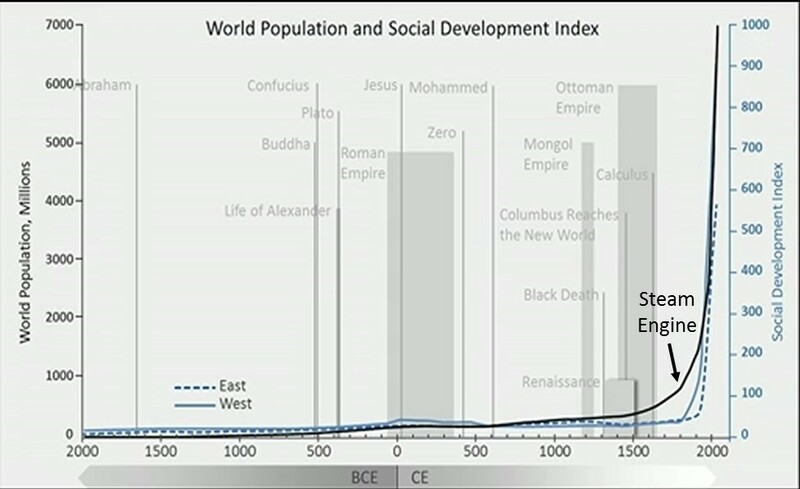 The important thing to understand here is the nature of exponential growth. Any growth whose rate becomes ever more rapid in proportion to the growing total number or size is said to be exponential. For example, if you were able to fold a single piece of paper 103 times (the current world record is 12 times by the way), you would end up with a paper stack thicker than the entire universe. 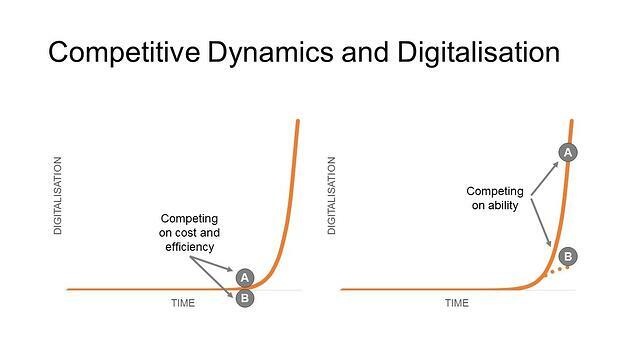 If we apply the concept of exponential growth on digitalisation, it is easy to see that the fundamentals of competition are likely to change dramatically in the fourth industrial revolution. By most estimates, we are currently at the beginning of the rapid acceleration phase of digitalisation. In this scenario, most companies are still competing on cost and efficiency as illustrated by competitor A and B in the graph below. However, once digitalisation starts to accelerate any business that falls behind will most likely find that it lacks the ability to compete at all. So what are you doing today to remain competitive in the second machine age? Assess your organisation’s digital readiness—how digital are you today and where do you need to improve? Create a compelling vision and strategy for digital transformation within your organisation—is your top management committed to making your company digitally competitive? Evaluate and decide what infrastructure and systems you need in place—are you optimised for yesterday or tomorrow? Put the necessary digital processes and organisation in place—do you have the right people and processes for competing in the coming years? If you want to talk to Zooma about how to go about making your company ready for industry 4.0—please get in touch!